You cheapest solution is that. But considering OP already has namda installed and not happy with that, i would assume he is looking for a higher level of sound insulation. I would say 75% vibration damping and 100% sound insulation using good materials. Lanbo is a good cheap alternative but peel n seal is a different thing altogether. its meant for sealing broken roofs. It may work ok for the floor but not so sure about vertical installations as the black part of the peel n seal is not very heat resistant and would become soft when the temperature rises. Correct me if I am wrong. I havent used peel n seal. Peel and Seal does not become soft under heat and stays attached like a bond, just like Dynamat, STP Sound Deadner, Stinger Roadkill or Damp pro, however yes it has a complete different application however its heavy and used Butyl rubber with adhesive on one end and foil type material on the other end. Its the cheapest solution out there. Jumbolon is a different type and one its application is sound deadening, which can be called, a 'Jugaar'. Recommended dampening is Jumbolon for floor and all other areas, Dynamat equivalent brands which include STP, Roadkill etc for the outer frame of the door. The inner side can be applied with Lambo sheets. Peel and Seal is not available here so won't consider it. i hope yawar's reply has been usefull. however peel&seal does tend to peel of if applied onto the inner skin of the roof. direct sunlight can do the damage. as for using it on the doors, well yes i have read it on alot of forums that it tends to peel off even from doors. however the same number of people say it works absolutely fine. even the members on pw who are using it on their doors havnt had complaints. So yeah, i think it shoudnt be a problem on doors, fender arches and the floor. about the roof, id say go for lambo or the more expensive stuff. yawar has also explained why P&S does the job so well too. about where to find it. well its cheap and alot of sites have them so id say importing them isnt hard or expensive. 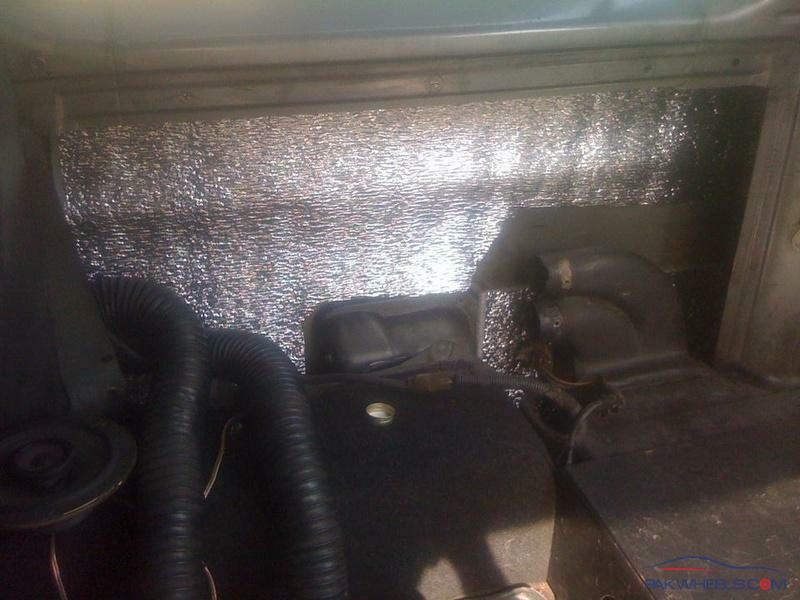 there is a 70% on a brand that makes deadening sheets and mats, i saw it somewhere. will check it out post the link here. so i gather that for what i want to achieve, i'm gonna need to use the right stuff, which will obviously be costly. if i decide to go that way, how should i divide it into stages to prevent a lump sum spending? i'm assuming stage 1 will be to add vibration dampening to the main areas (high noise areas i.e fire wall, front floor area, under hood, front wheel arches) followed by the minor areas (less noisy areas i.e rear floor area and boot, rear wheel arches, roof), followed by acoustic dampening (where all will this be needed?) and finally thermal insulator (my gear tunnel radiates a lot of heat!!)?? feel free to give suggestions abt the stages, this is just my opinion on the matter?? whats the total budget u have???? an estimate. Where to buy this lanbo sheet or peal and seal? btw is lanbo sheet just regular foam or is there something special abt it? lanbo sheets are similar to dynamite and roadkill.... they may be thinner to some extent as compared to the others but they do a pretty solid job in reducing rattles. if ur on a tight budget id suggest this. 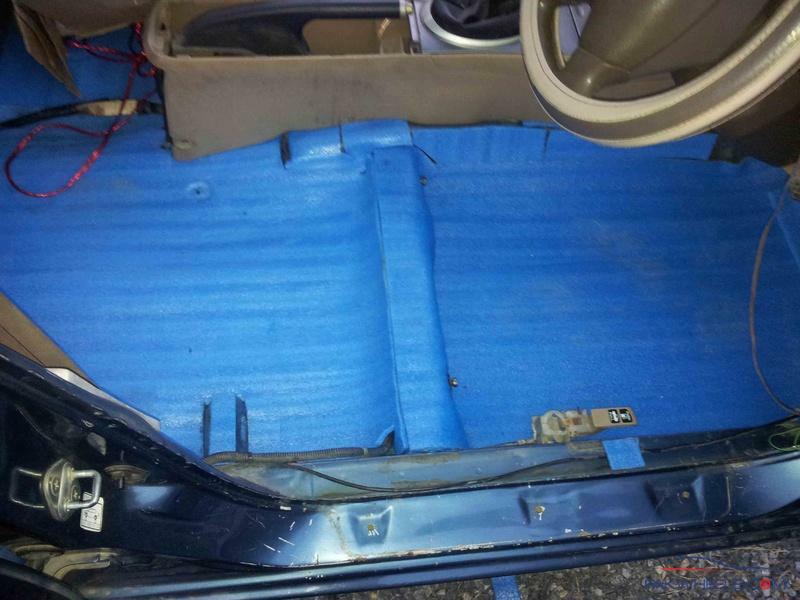 FLOOR/GearTunnel: Cover all the bare metal with Peal&Seal or lanbo sheets, add a layer of namda foam and finally cover it with the original floor matting. DOORS: Fill the gap b/w the inner and outer skins with foam () and cover the inner skin with peal&seal or lanbo sheets. If u can spare some extra money, covering the outer skin with the deadening material is even better. FIREWALL: I dont think the Peel&Seal would work here so lanbo sheets+namda foam would be the best call. On the behalf of Sohna please request to admin to remove the ban from him as he was very active and knowledge able person like Xzulfiqar on pak wheels . lambo sheets are available in the limited quantity. for best results, use MLV (mass loaded vinyl) or rubber sheets over lambo sheets. thats not lambo sheet, that is called underlay. jumbolon is a local product name used for heat proofing of roofs. The budget stated by OP per stage is quiet decent for complete vibration damping + sound/heat insulation. You still didnt say what jeep you have. its a range rover classic, roughly the size of a 60 series land cruiser. currently it has absolutely no insulation, just a very thin carpet. which materials do u think should be used in which areas? i wouldn't mind spending a little less if it more or less does the same job!! OK, the only solutions I can give you is all based on StP products. You might want to check it out here StPWorld . Im working with StP currently and will be representing them in Pakistan. 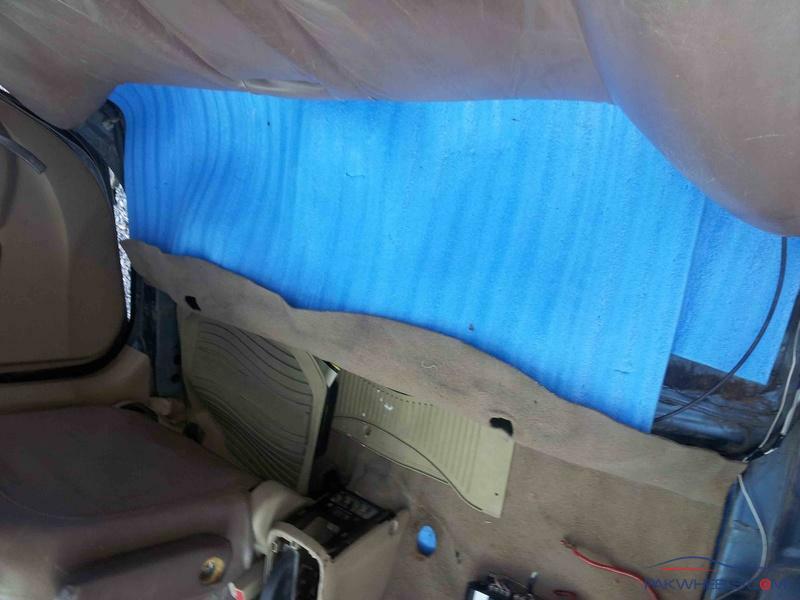 You will be seeing a lot more of StP sound deadening and thermal insulation in Pakistan in a few months. 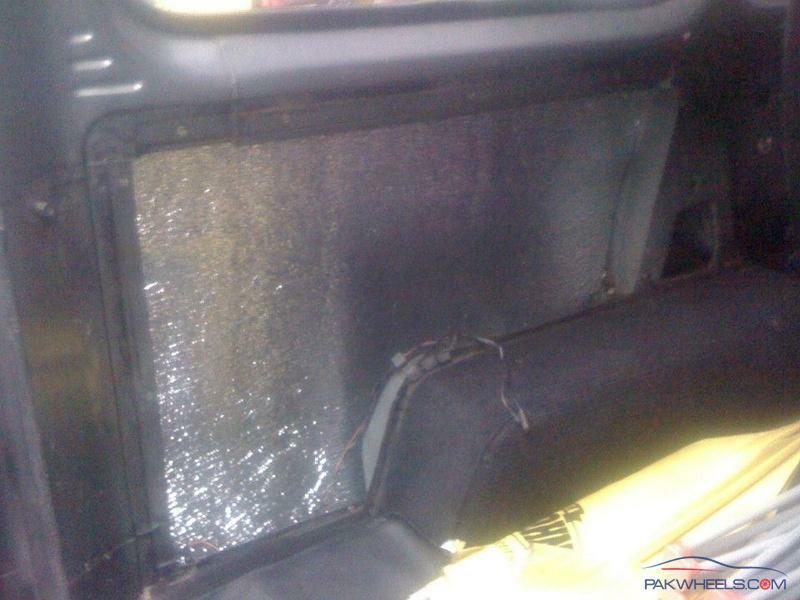 I already talked to the people at StP and they recommend that for your specific jeep, you will be requiring plenty of deadening materials to get the job done. You would require around roughly 12 square meters of vibration damping (iSilver) to get the whole thing done. And an additional 7 square meters of sound/thermal insulation (SPL08). This is the basic level inclusive of all the above you mentioned areas you wanted done. We may be able to cut short here and there, however if you would be interested, let me know and we can discuss further and see where costs can be cut. But this is a lot more then what I calculated (I considered a 3 door jeep, you have a 5 door). and have you gotten any estimated costs per sq meter? and what abt products like stp bomb or gold? are they available also? btw it is a 3 door jeep, that is number of doors, its length it of a full length. May I suggest this type of material, it may add as heat insulation.